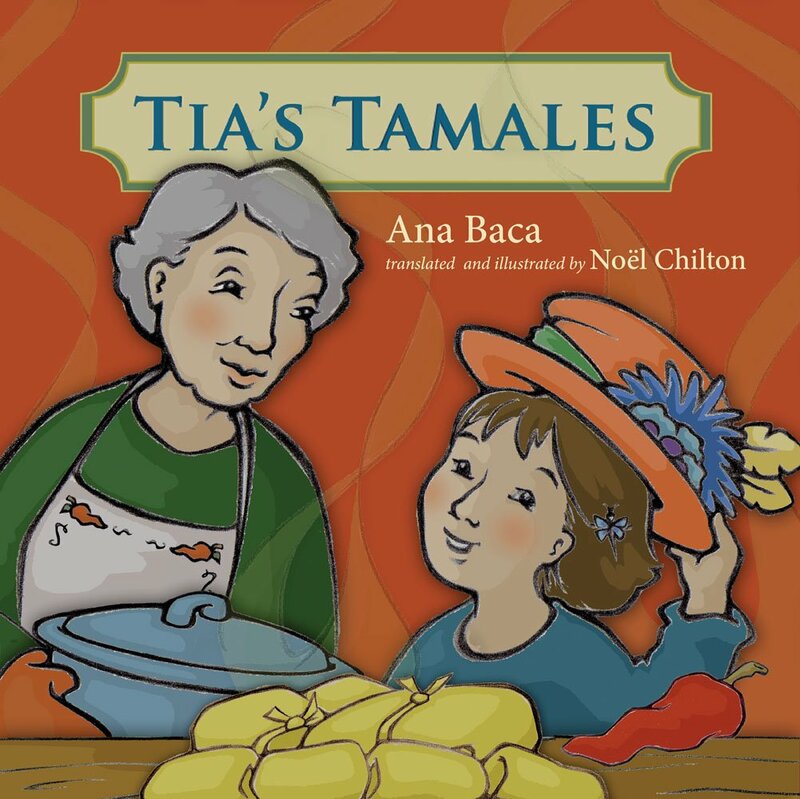 Ana Baca's bilingual tale of how two children from different generations learn to make their family recipe for tamales will delight readers of her earlier picture books that combine folklore and traditional cuisine. Luz's school day is canceled because of snow and her abuela decides it's the perfect time to teach her to make tamales, just as Abuela's father, Diego, was taught by his tía on a long-ago winter day. As Abuela tells it, when Tía showed up unexpectedly at Diego's home, the pantry was almost bare with only a few dried squash, two pumpkins, three onions, a bundle of dried corn, and one red chile ristra on the shelves. Diego didn't think they'd be able to do much with such meager ingredients, but by the end of the afternoon, Tía had taught him that with laughter and a little embellishment, a delicious meal can be made from almost nothing. Ana Baca, a resident of Albuquerque, is the author of a novel, Mama Fela’s Girls (UNM Press), and three earlier children’s books, most recently Benito’s Sopaipillas. Noël Chilton is an artist who illustrated Pop Flops Great Balloon Ride (Museum of New Mexico Press). She also lives in Albuquerque.